Baltimore Launched Martin O'Malley, Then Weighed Him Down : It's All Politics The city was a political launchpad for the presidential candidate, but his "zero tolerance" policing has drawn criticism for affecting the community's relationship with law enforcement. Former Baltimore Mayor and Maryland Gov. Martin O'Malley earlier this year. As Martin O'Malley neared the launch of his presidential campaign, the former Baltimore mayor and Maryland governor said he wouldn't think of announcing his bid "anyplace else," even as the city exploded with riots after the death of Freddie Gray, a young black man who was fatally injured while in police custody. O'Malley's choice of venue, complete with the timing, showed the double-edged sword that the city has been in his political evolution. It is the launchpad that catapulted a young member of the city council to two terms in the mayor's office and then to the governor's mansion. But the city has also become a burden as critics are quick now to question his record as mayor, the "zero tolerance" policing that he introduced to the city and the effects it had on the relationship between law enforcement and local communities. 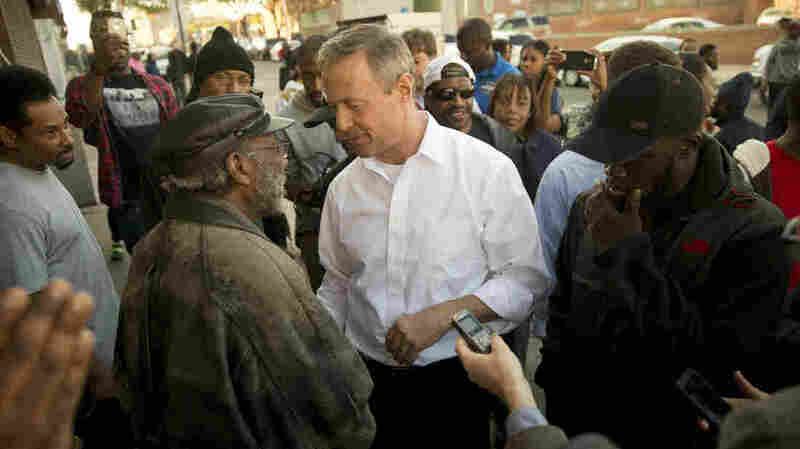 In April, O'Malley met with Baltimore residents during unrest over the death of a black man, Freddie Gray, in police custody. O'Malley's zero-tolerance policing policy has been criticized. No matter whether Baltimore is a springboard or an anchor weight for O'Malley, a Democrat, he never would have arrived if it weren't for a handful of votes in a tight race for a Senate seat in 1990. "Martin says he only lost by 43 votes, I say I beat him by 44. The fact is I won that election, but it seems to me he won the war because he's been successful ever since," says John Pica, the then-state senator whom O'Malley challenged in the primary. The two men ran a tight race, and O'Malley's candidacy was always a long shot. His brothers and a high school classmate ran his campaign and they did their own opposition research. 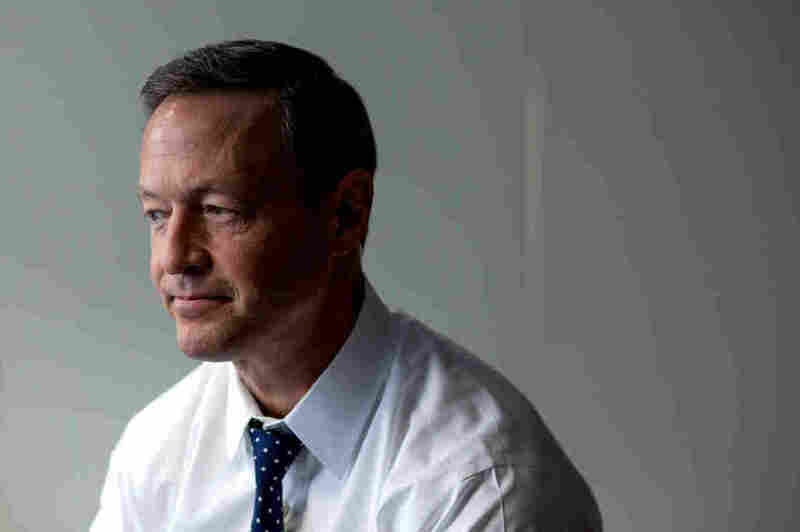 O'Malley claimed to have knocked on every door in the district. But ultimately, he narrowly lost. The only person this surprised was O'Malley. He always thought he could win. "So it was a hard loss, but in looking back now, it probably was the best thing that ever happened to me because it pointed me in a different direction," he said in an interview earlier this year. Instead of the statehouse, O'Malley set his sights on a city council seat. Working at a law firm during the day, he made his case to Baltimore's voters at night. That race, O'Malley won. He went on to spend eight years on the Baltimore City Council before launching a campaign for mayor in 1999. He was the only white candidate of the three major contenders in a majority-black city. 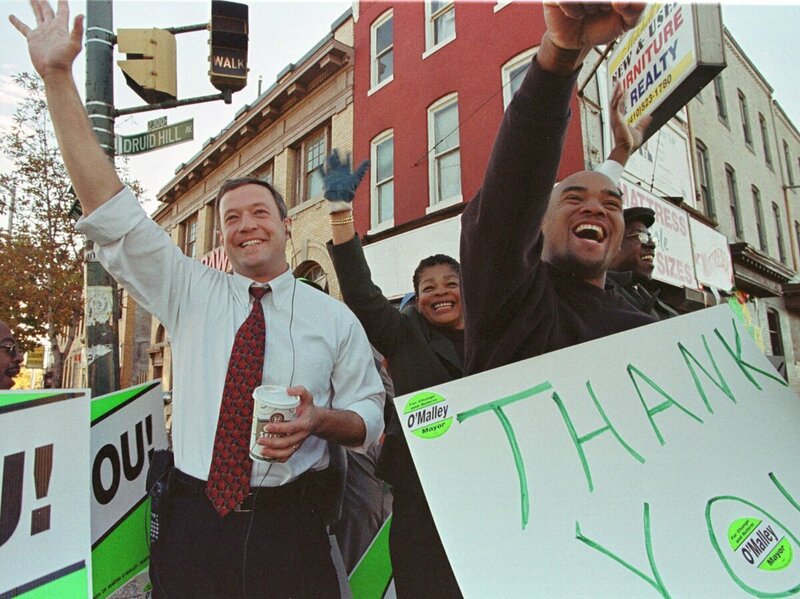 Newly elected Mayor Martin O'Malley (left) waves to supporters in Baltimore in November 1999. O'Malley made the city's explosive crime rate the center of his campaign, much to the chagrin of one of his opponents. "He basically ran a scare campaign," Baltimore City Councilman Carl Stokes told me in an interview at a restaurant in his district. "His campaign theme was that crime was the most important thing and we needed strong policing." Ultimately, O'Malley was elected at a time where the city was routinely seeing more than 300 homicides a year. He's described the Baltimore he inherited in 1999 as the "most violent, the most addicted and the most abandoned city in America." In the next decade, it saw the steepest drop in violent crime in the country, a victory O'Malley boasts regularly. Critics though say what O'Malley's zero-tolerance approach really did was to sharply increase arrests, particularly of young black men. "There's still a lot of anger, still a lot of distrust as a result of the O'Malley policies," says Marvin Cheatham, former president of the Baltimore branch of the NAACP. O'Malley says though that he was doing what the voters who elected him as mayor — twice — wanted. In his campaign, he has sought to position himself as the candidate who can best champion the issues critical to cities around the country. "Fundamental to the turnaround of Baltimore and getting her headed in a better direction was that the people of our city decided that we would no longer tolerate the fact that we had let ourselves become the most violent city in America," he said. Despite that, Cheatham says that O'Malley is a consummate politician, always punching his way toward the next rung on the political ladder. Baltimore was just another step on his path to the next level. "He's a very personable guy, very handsome guy, very articulate, but when you look at the harm that he did, you can't forget that you're still suffering as a result of the things he did not do."